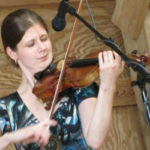 The Mid-Day Music series, hosted at St. Paul’s, brings fabulous local artists to Norwalk for 45-minute long lunchtime concerts on Wednesday afternoons each month. As you enjoy the beautiful and varied music, our performers will tell you about their exciting, unusual programs. Concerts are open to all, with a suggested donation of $15. More information can be found at seaburynorwalk.org/mdm. Other special Sunday concerts are also offered throughout the year. 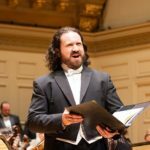 Most programs begin at 5 PM, and feature spectacular choirs, ensembles, and soloists from greater Connecticut, New York City, and beyond. For more information, visit seaburynorwalk.org/sundayconcerts. Mid-Day Music and the Sunday concert series are partner programs of Seabury Academy of Music and the Arts, Inc., a nonprofit 501(c)3 in residence at St. Paul’s.